1. 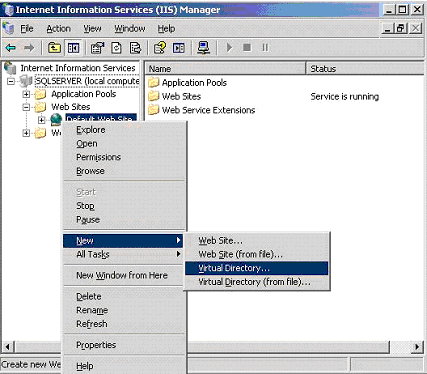 To start IIS Manager, select Settings -> Control Panel -> Administrative Tools Internet Services Manager from the Start menu. 2. The next step would be to create a virtual directory for an existing physical directory. 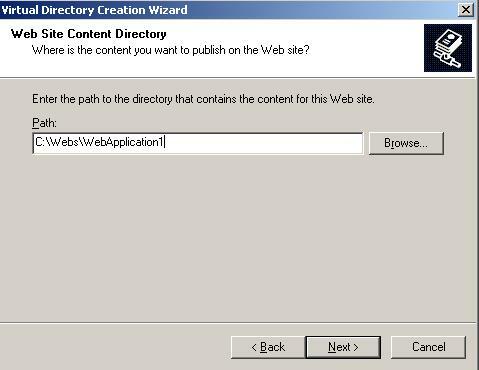 For this please expand the Web Sites item in the IIS tree, right-click the Default WebSite item and choose New -> Virtual Directory from the menu (see Figure 2). 3. The first step in the wizard responsible with the virtual directory creation is to choose an alias (see Figure 3). The alias is the name a user will use in his URL to access the files in this virtual directory. 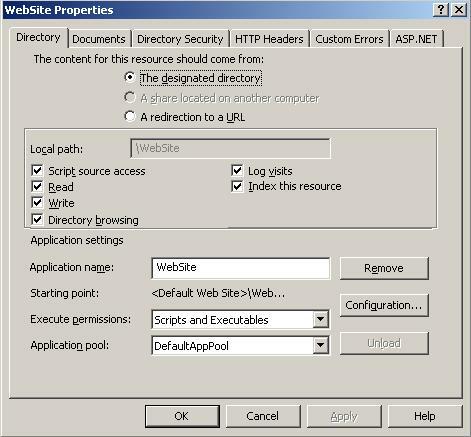 For example, if your alias is MyApp and your computer is MyServer, you can request pages using URLs such as http://MyServer/MyApp/MyPage.aspx. Figure 3. Choosing an alias. 5. The next step in this wizard is to provide an existing physical directory to which the virtual directory will point to (see Figure 4). So, this physical directory will be exposed as a virtual directory through its alias. For example, c:\Webs\WebApplication1 is the physical directory that is used by this virtual directory with the MyApplication alias. 6. The final step in this wizard is to choose your permissions for the virtual directory (see Figure 5). Usually, to host an ASP.NET application, read and execute permissions are enough (the first two check boxes). Of course, in order to fulfill your needs you can choose other permissions too. 7. Click Next and then Finish to create the virtual directory. When you finish these steps, you'll see your new virtual directory appear in the list in IIS Manager. 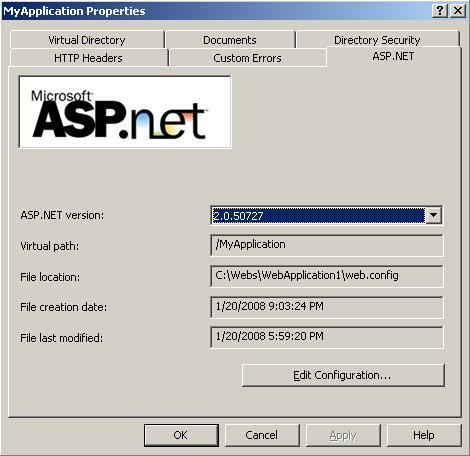 The deployment of the ASP.NET application on the production machine can be done in many ways depending on the Internet hosting services. 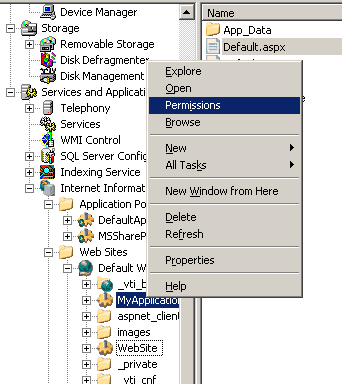 You can use FTP to deploy the application, or if the development computer and the web server are on the same internal network, you can use Windows explorer. Please also consider the tools that Visual Studio includes to make deployment easier. IIS provides plenty of features you can use to configure the virtual directory that you have just created. In order to do that, simply right click the virtual directory in the list, and choose Properties item from the context menu. The Properties window will appear, with its information divided into several tabs. The following topic briefly explains the most important tabs youâ€™ll want to configure for ASP.NET applications. Here you can specify how IIS authentication is made. I will also explain how impersonation is made. 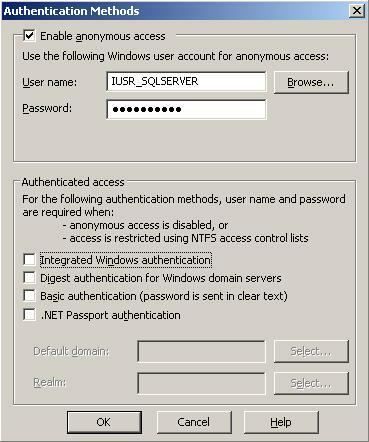 So, here you can see which is the account IIS uses for anonymous access and also which are the authenticated access modes. - You to choose any version of ASP.NET thatâ€™s installed on the computer just by selecting it from a drop-down list. - In provides information about the physical path and about the web.config file. 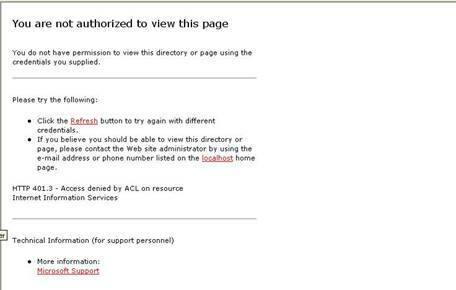 If the Default.aspx web page appears correctly that means that everything went OK. If you receive the below result, that mean that ASPNET or Network Service account doesn't have appropriate windows permissions on that virtual directory. If you receive the below result, that means that IUSR_MachineName account or the windows account under which you are authenticated doesn't have appropriate windows rights on the virtual directory. 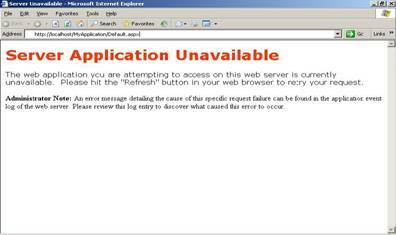 This depends on the IIS authentication mode you have chosen to use.